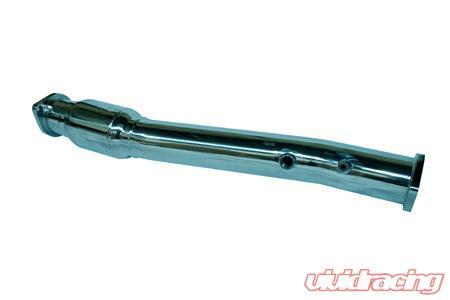 The Evolution X High Flow Cat-pipe allows you to bolt on horsepower while staying 50 states legal with a Catalytic Converter on the car. Designed to be used with our EVOX-FP & EVOX-CBE. A must have if the vehicle will need to taken through emission testing.